a great selection of pretty cute cards and screenprints which are made from hand cut stencils. 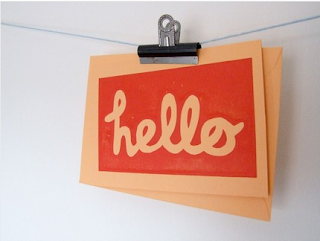 i particularly like these hello cards. available for purchase here.